We stayed with French Juno club in Luc Sur Mer. Travelled to Douvres la Delivrande (town Sq Picture) and Sannerville for Service to 3 Div Memorial. 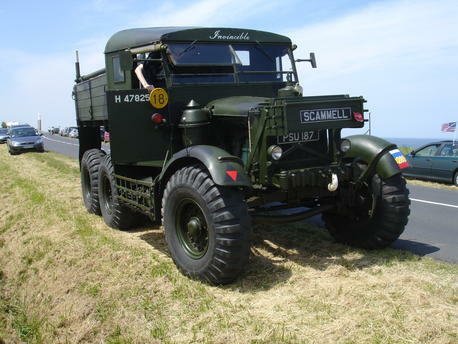 Scammell, Ward la France and Jeep.